With Xamarin.Forms evolving the universal tablet and phone experience, it’s providing more uses for a rich, Microsoft Excel-like grid. FlexGrid is our cross-platform strategy, as it has been for years dating back to ActiveX and WinForms. Not only is it useful for displaying and editing data, but it includes analytical features like sorting and subtotals, that add new dimensions to a plain old list of data. Along with FlexGrid we’re also introducing our own implementation of the CollectionView. FlexGrid is a great control that adds spreadsheet-like functionality to your mobile apps. 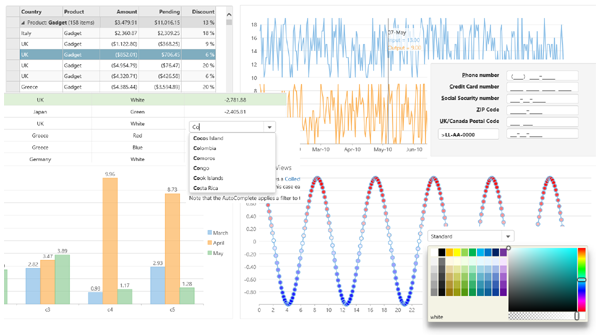 FlexChart will get several new features in 2015 v2 including multiple axes and data labels. You will be able to easily export the chart to an image so you can save and share it. You’ll also be able to easily format the appearance of the chart dynamically, such as for conditional formatting. Plus, we’ll add spline chart types. The gauges and FlexGrid will also benefit from image export. 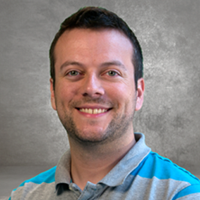 The 2015 v2 release will also include libraries for native Android and iOS development outside of the Xamarin Platform. The 2015 v2 release on August 19th will be a huge milestone for Xuni because it will also be the first time we’ll package and distribute the libraries for native app developers who are not using Xamarin.Forms. This includes Xuni for native Android developers writing in Java, iOS developers writing in Objective C, and also Xamarin developers creating Android or iOS apps separately in C#. We’ll have a version for everyone. Beyond 2015 v2 we will expand support on the Windows platforms to synchronize our Xamarin.Forms offering with Xamarin. We will also expand beyond grids and charts with more useful business controls such as editors, calendars, reporting and documents. We value your feedback so leave a comment below.